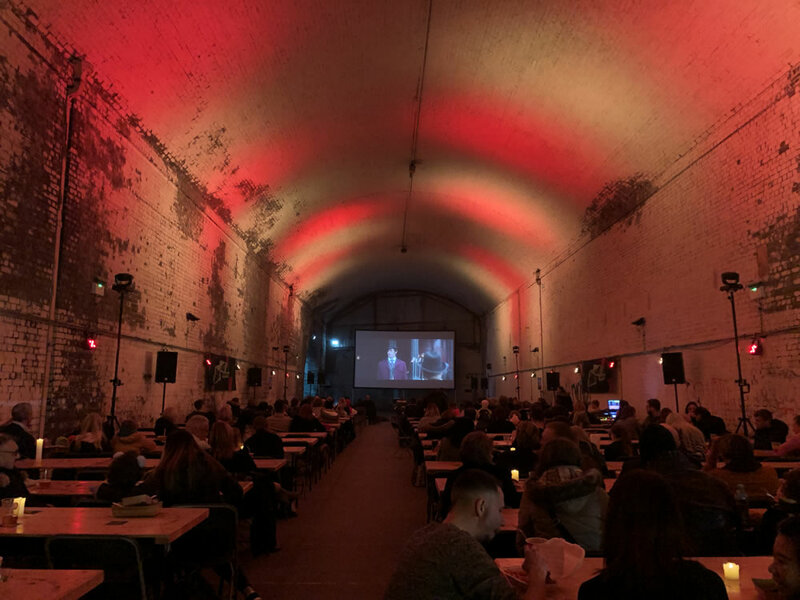 The main area was the cinema room with the popup cinema. 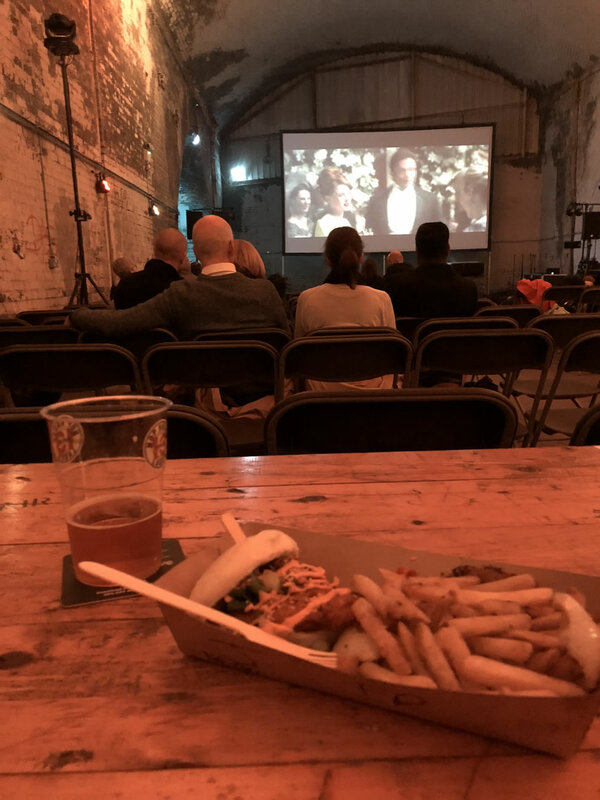 The actual cinema room area was lovely and warm. There are some seats, tables and some big bean bags at the front. I was impressed with the actual setup with the large screen, big projector and big sound system. There were a few food stalls you could get some food. There was someone selling lobster – not something you normally see at a street food type event. 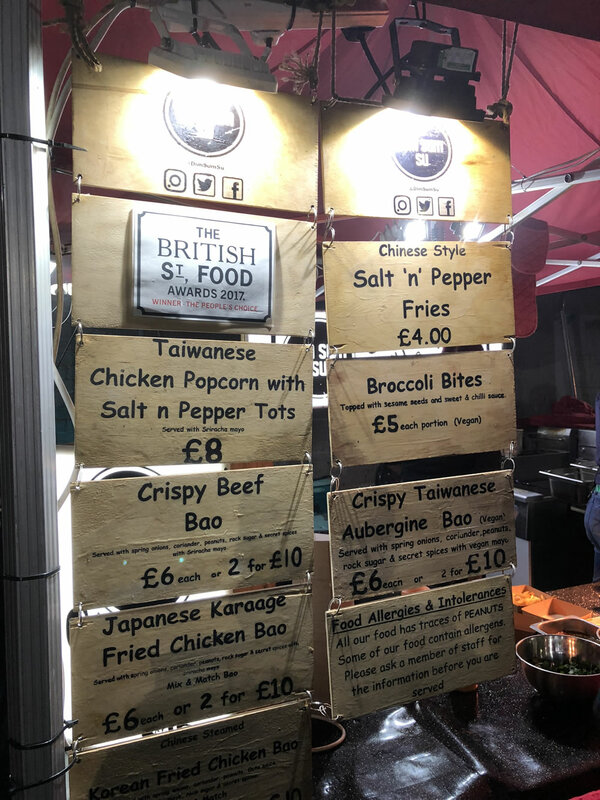 And to be honest, at a cost of £19 for one of their dishes, that is a bit steep for “street food”. There was also someone selling burgers but I went for some food from Dim Sum Su. I have eaten the food from Dim Sum Su on a good few occasions although it had been awhile. Su recognised me and then mention it was ages! I went for the Japanese Karaage Fried Chicken Bao (and some salt and pepper fries). Tasted really good. 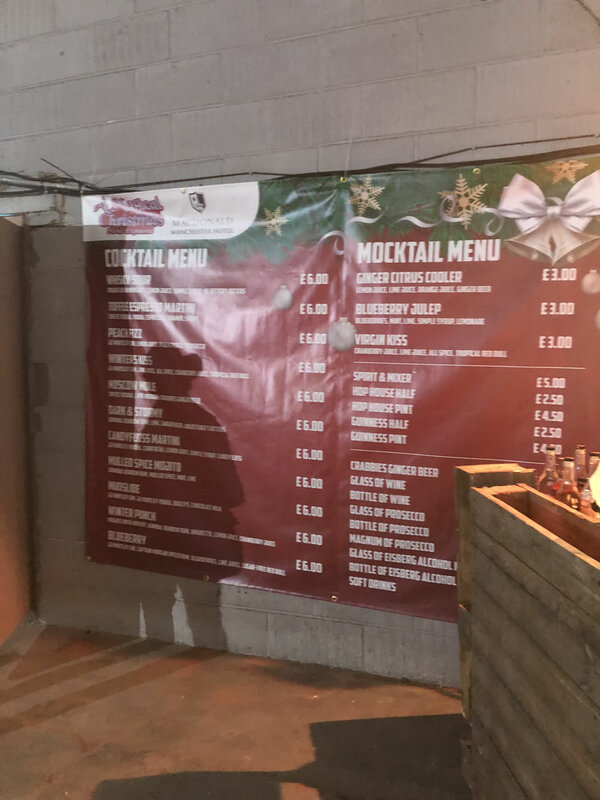 Here is the drinks menu – sorry, a bit blurred! If you want to go yourself, it was £14.99. They are showing a few different Christmas movies like Die Hard, Home Alone, Elf and Gremlins. There is also a Greatest Showman Sing-a-long which could potentially be very good if you’re a fan. The acoustics I think would be very good! They price does not include food or drink. Have a look on their web site for more info – https://magicalchristmasmovieexperience.com.